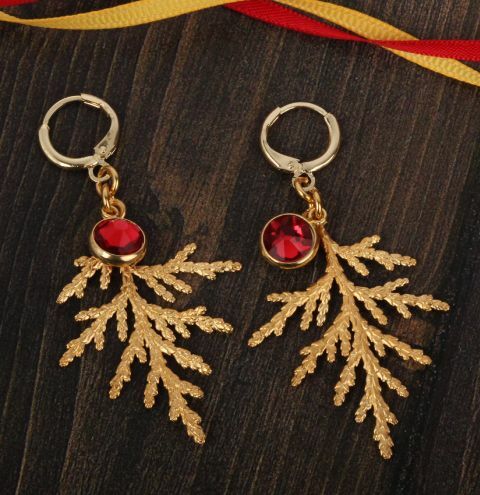 Make a pair of Evergreen Earrings with a touch of NEW Swarovski Scarlet crystals. Perfect for festive celebrations this Christmas! Carefully apply a small drop of glue to either side of the charm setting and insert your crystals into place. Allow to fully dry before moving on to the next steps. Open a jumpring and connect the charm to the top loop of the leaf. Open another jumpring and link the jumpring you just added to the small loop of the earwire.